Sydney's bedroom-pop firebrand Felix Lush (ex-Bearhug) takes cues from synth pioneers New Order and OMD, as much as Porches and Wild Nothing. He taught himself to DIY self-produce at home. Felix says, "This is my love-song dedication to my girlfriend. Sometimes I think people are worried about being outright about love, but it's important to tell that special someone how much they mean. 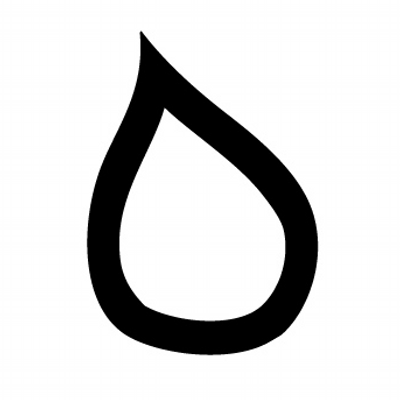 It's for every dorky kid out there who wants to tell their partner how much they mean." Imperial Broads are a Sydney combo formed through a shared love of sugar-rush punk and throwback garage-thrash. Their debut album has been produced by Liam Judson from Belles Will Ring. Eve says "This is the first song I wrote, I wanted it to be 'haunty' and asked Pip to come up with a Shadowsy lead line and she nailed it. (Producer) Liam suggested we add some acoustic rhythm guitar, and my boyfriend Dan Pash provided the galloping western strum." Imperial Broads are a Sydney combo created through a shared love of sugar-rush punk and throwback garage-thrash. Their debut album has been produced by Liam Judson from Belles Will Ring. Producer Liam enthuses "It's like you've gone to a flea market and picked up a 45 of a band you've never heard of who played CBGB's a couple of times, then put out one single on a strange label and recorded it at a legendary Manhattan studio. Here's that single!" Imperial Broads are three guitar-wielding gals (and one honarary guy) who formed in a garage in Marrickville, and bonded over a love of sugar-rush punk and throwback garage-thrash. Pip says '"You're Scared" was written from a place of sexual frustration. At the time I was also bored by the coy expression of female sexuality in the music I liked. I wanted to flip the predator/pursued power relationship and get people dancing at the same time." Wax Witches is the sci-fi punk/psych solo alter-ego of Bleeding Knees Club frontman Alex Wall, released worldwide on Burger Records. His third album comes out 18th March 2016. 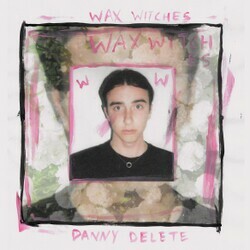 "Danny Delete" is the latest taste of Wax Witches' third album "Memory Painting". A brash shoegaze excursion by way of a fictional bad seed fable, Alex says "It's a story about a young guy getting a girl pregnant and not taking responsibility for it. Karma gets the best of him." SM Jenkins is the new alter-ego of Step-Panther frontman Steve Bourke. His debut EP "Out There In The Zone" is a trip through lone-folk solo noodlings and widescreen rock jams. 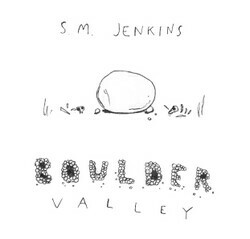 "Boulder Valley" comes from the debut solo EP by SM Jenkins, the alter-ego of Step-Panther frontman Steve Bourke. Inspired by living in the NSW Southern Highlands, Steve says "This is a song about a place behind my house, but it's exaggerated to sound more special than it really is." Step-Panther are an irrepressible shred-rock 'n' garage-pop trio from Sydney. They've forged a fun and fast live reputation by playing shows alongside Yuck, Kurt Vile, Girls and Jeff The Brotherhood. "Maybe Later" is the lead-off single from Step-Panther's 2013 EP "Dreamcrusher". The Brag (Sydney) said it "has overdriven guitars and subject matter reminiscent of early Weezer, with two barely-fuctioning people in a sort-of relationship torturing themselves due to their inability to communicate". Wax Witches is the solo project for Bleeding Knees Club frontman Alex Wall! Snotty, frantic, dumb, lo-fi and badass, Wax Witches continues the attitude that's sealed the Queensland party-punks' reputation. "Alone" is off the debut album by Wax Witches, the solo project of Bleeding Knees Club frontman Alex Wall. Drum Media [NSW] said "There’s a charm about the facetiously exaggerated punk attitude, but the purposely-offensive nature of the record can’t be taken too seriously." High-Tails are a fresh bunch of guitar-slinging hombres out of Sydney!Their debut singles "Maps" and "Bending Over Backwards" are sunburst shots of economical pop. Debut EP later this year. "Bending Over Backwards" is the new 2014 song from happenin' Sydney guitar-popsters High-tails. Recorded at Sony Studios with producer Adrian Breakspear, it's a slinky rock stomper that channels Spoon, Orange Juice and Arctic Monkeys. Dumb Blondes is a super-duper cosmic surf-pop collaboration between Jordan Malane (Bleeding Knees Club), Nicholas Futcher (Kite Club) and Joel Abbott (current touring drummer for both bands). "Into The Light" is the debut 2013 single from cosmic surf bad boys Dumb Blondes, featuring Jordan Malane (Bleeding Knees Club) and Nicholas Futcher (Kite Club). Futcher says "It was inspired by the 'heroin-pop' and shoegaze bands of the 90's like Brian Jonestown Massacre, Dandy Warhols and Ride". Wax Witches is the solo project for Bleeding Knees Club frontman Alex Wall!Snotty, frantic, dumb, lo-fi and badass, Wax Witches continues the attitude that's sealed the Queensland party-punks' reputation. High-Tails are a fresh bunch of guitar-slinging hombres out of Sydney.Their recently-released debut single "Maps" is a sunburst shot of economical pop channelling The Go-Betweens, Pavement and Real Estate. "Maps" is a sunburst shot of economical pop channelling The Go-Betweens, Pavement and Real Estate. It had Two Thousand praising its "dreamy layered guitar melodies and a chorus to emote nostalgic Australian film scenes" while Caliroxist [USA] chirped "it's bright and cut for long drives with the 'roof gone'".